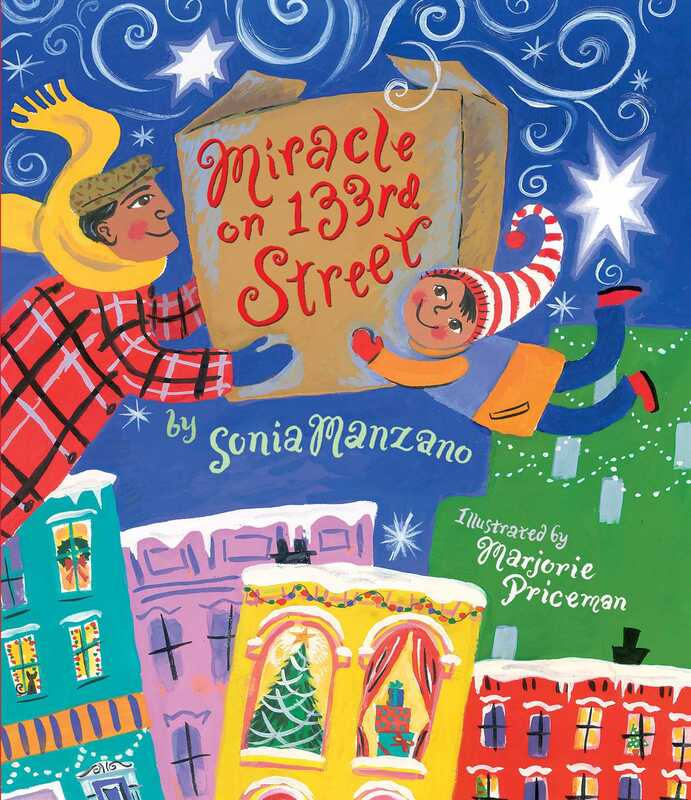 An urban family’s dilemma becomes a community celebration in this delectable holiday treat from Sonia Manzano, also known as “Maria” on Sesame Street. It’s Christmas Eve and Mami has bought a delicious roast for a Christmas feast. But, oh no! It’s too big to fit in the oven. Jose and Papa need to find an oven big enough to cook Mami’s roast. As they walk from door to door through their apartment building, no one seems to be in the Christmas spirit. So they head down the street to find someone willing to help, and only when they do, lo and behold, the scent—the itself magical smell—of dinner begins to spread, and holiday cheer manifests in ways most unexpected. Sonia Manzano from Sesame Street and two-time Caldecott Honor-recipient Marjorie Priceman have cooked up a Christmas tale about how the simplest things—like the tantalizing smell of Christmas dinner and the sharing of it—can become a holiday miracle. Marjorie Priceman, illustrator of many acclaimed picture books, has won Caldecott Honors for her illustrations in Zin! Zin! Zin! A Violin! by Lloyd Moss and Hot Air: The (Mostly) True Story of the Frist Hot-Air Balloon Ride, which she also wrote. She lives in Lewisburg, Pennsylvania.